DD Form 1786 or the "Military Handbook 300" is a Department of Defense-issued form used by and within the United States Army. The form - often mistakenly referred to as the DA form 1786 - was last revised on August 1, 1996. 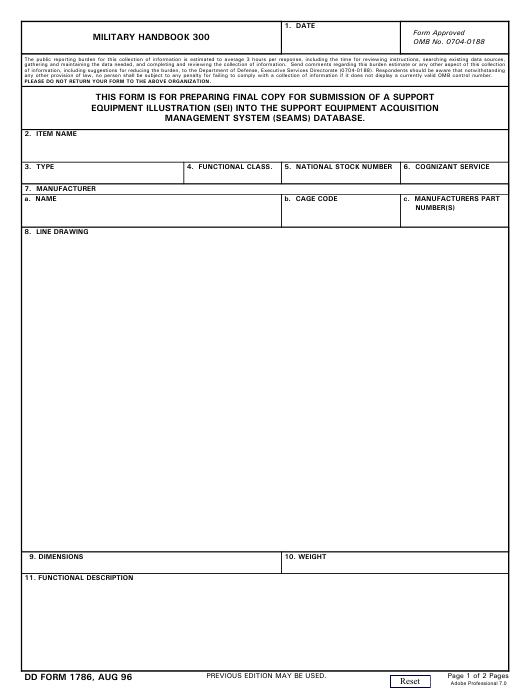 Download an up-to-date fillable PDF version of the DD 1786 down below or find it on the Department of Defense documentation website. any other provision of law, no person shall be subject to any penalty for failing to comply with a collection of information if it does not display a currently valid OMB control number.